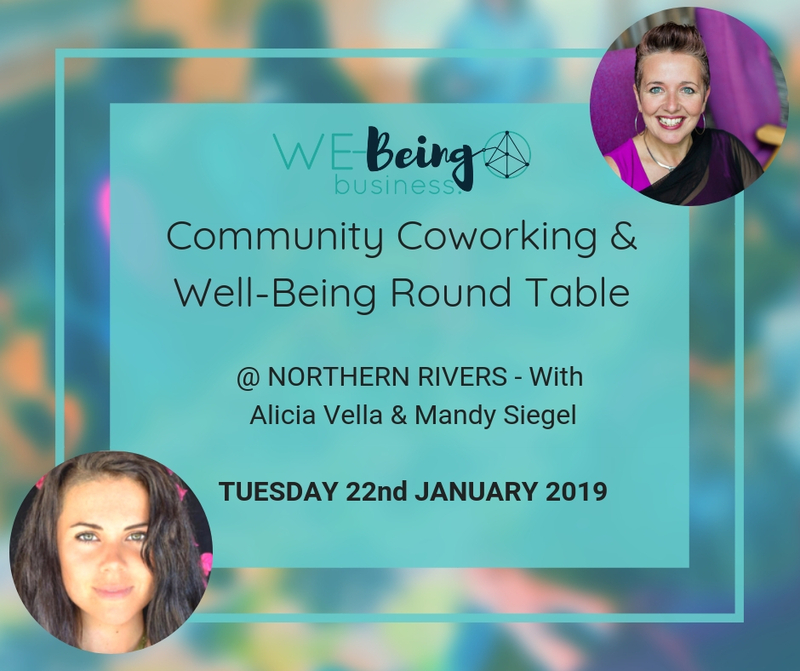 This event is for you if you want to connect, discover and embody creating a business that you love or be in business in a way that suits you. 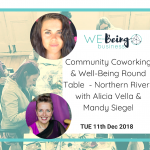 WE come together to share with you the wisdom and knowledge of being in business with a holistic approach – one that is beyond the way most business is happening as at the moment. 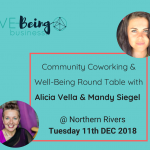 This months event we will be communing to co-work! With 2 business and well-being consultants on hand, now is your opportunity to be Practising Business Holistically. 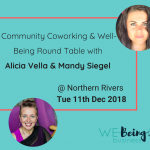 + Opportunity to implement for your specific business, a working session for you to use your 3 brains in business with the support of Alicia and Mandy. Using the 3 brains in business of instinct, intuition and intellect we can harness greater cooperation, collaboration and position ourselves as respected leaders in our fields of what we are doing every day – our vocation, our calling. This is an introductory session for $47. This includes a snack and drink and a contribution to our community development and amenities. Now is your chance for you to have your questions answered if you get stuck, with a side-table break out conversation, so you also won’t get disturbed if you really want to get that one task finished! The mission that Alicia is honoured to fully rise up to, is to hold presence and create sacred space to honour the inner journeys in to the heart centre – the essence of our authentic selves. When this connection is made, our ability to create a life that best serves ourselves and humanity flows with greater ease. is a certified Kinesiologist (Neuro-Linguistic and Touch for Health Kinesiology), with certified modalities of Wholistic Counselling, Energy Medicine, Personal Training and Events Management. Alicia feels it is important to recognise that she does not label myself as a teacher or healer. She is merely sharing a range of tools for people to utilise to activate what already resides within them to empower them on their own journey. It is an honour for her to hold presence in this way for a person to rebirth themselves, move through obstacles, acknowledge all that they are and tap in to their authenticity through their heart centre. Mandy’s purpose is to inspire women to speak from the heart, spread their message with joy and confidence and grow their career and business by being authentically YOU!